If you want a completely no-nonsense piece of equipment, the B.M.F. 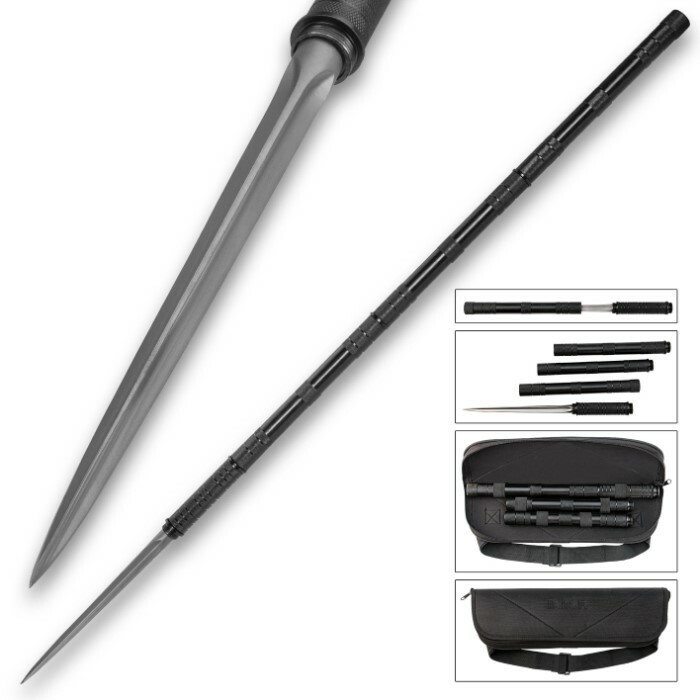 Tri-Edged Heavy Spear is exactly what you need. The cast 2CR13 stainless steel blade has a gray titanium finish and it's a razor-sharp 10" long. 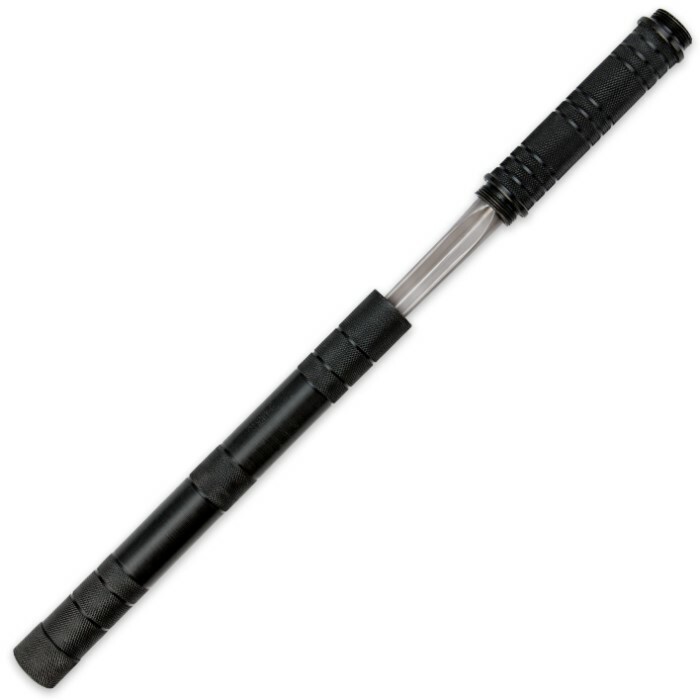 The tube is of impact resistant steel with a black oxide finish that breaks down in to three pieces. 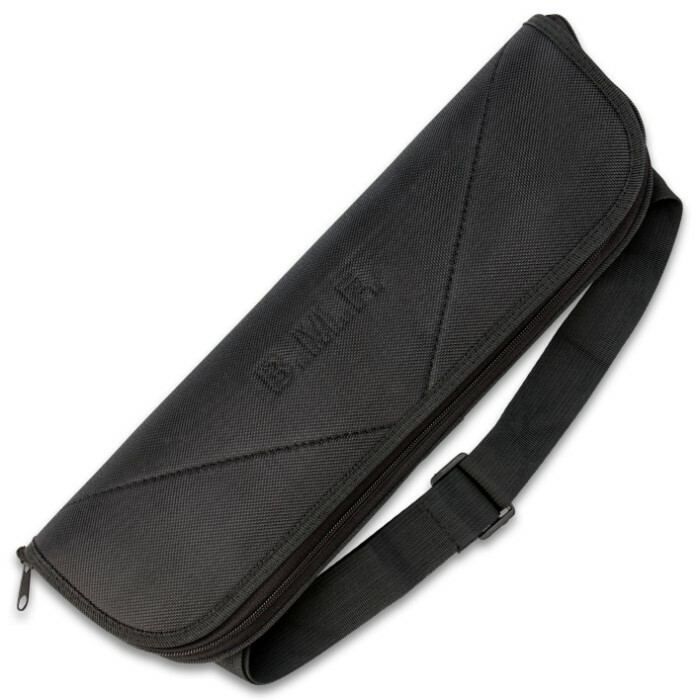 It stores in an easy-to-carry nylon bag so that you can take it with you anywhere you need it. Unless you have a welder to put it back together! Really a neat item, lots of fun. The only problem was the construction is not meant for actual use. So just weld it together and you can then throw it or stab targets no problem. This was even better than I expected. Heavy duty and the engineering on it was excellent. Will easily fit in your pack or under the seat of your car. A really nice weapon that doesn't need bullets. 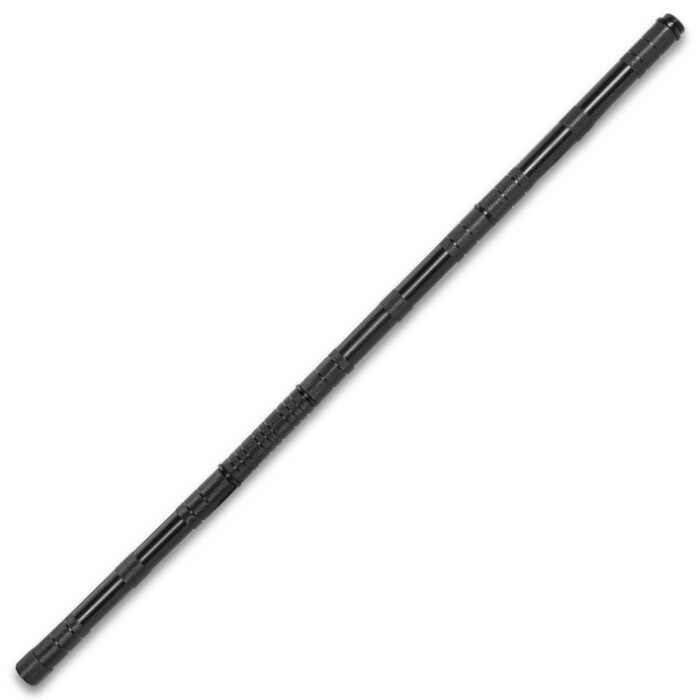 I purchased this spear during the latter weeks of winter, so when I tried throwing the spear for the first time and, I missed, it landed in the frozen ground, bending the tip completely over to at least a 50 degree angle. So that was disappointing, but perhaps I misunderstand the purpose of this spear. Overall, good for what it was intended to be used for, which is perhaps stabbing flesh, piercing fabric, or what have you; although it is NOT a spear for sticking into wood, penetrating metal of any kind, or twisting or pulling on when inside of any target. Push & Pull, soft objects only. It came well oiled to prevent rust. 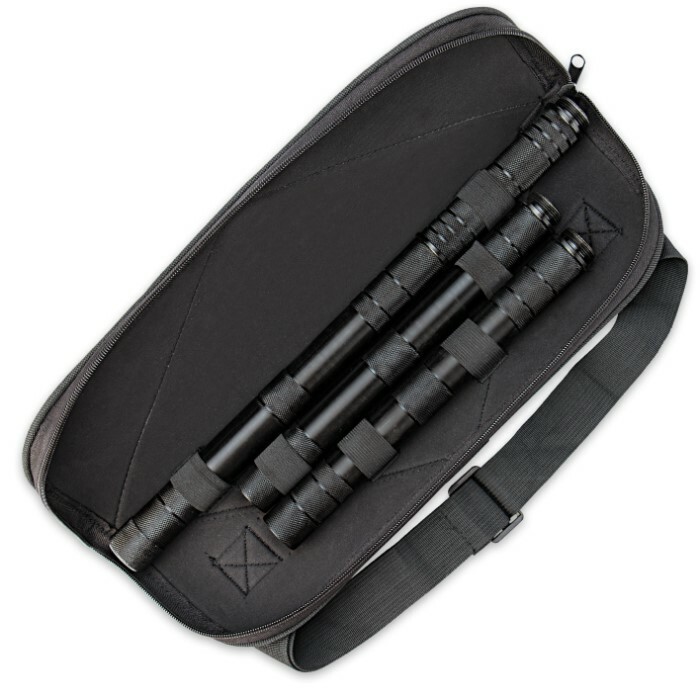 It has a very practical bag and each piece is set inside to fit. Great for transport. Will squeak when putting it together, so you would have to grease it or put it together two miles away your prey. I'm into ambush hunting. Keeps Me keen for when SHTF. This is a great tool for ambushing. Rather light too. 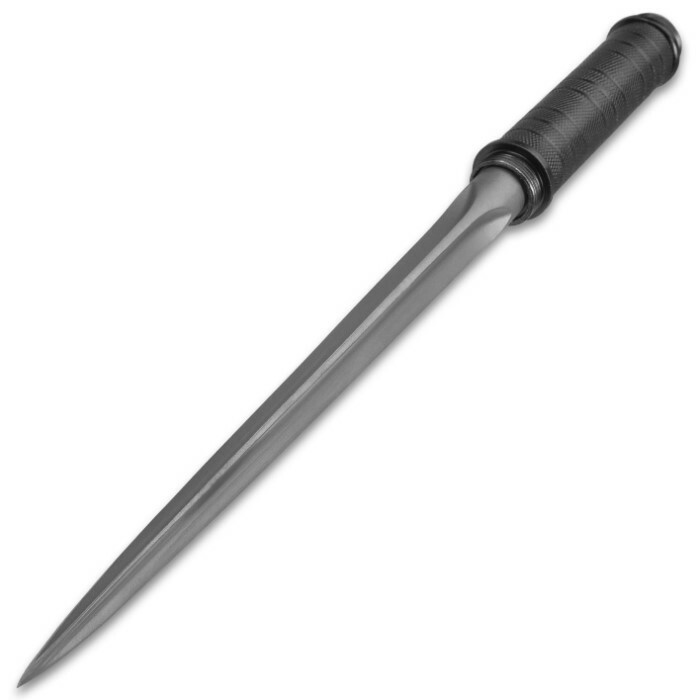 Not your average spear head, this is more of a spike. It breaks apart easy enough but it's super heavy. I mean some weight is good but I think in this case it throws off the balance. Not a bad spear by any means just wish it was lighter. It becomes cumbersome to hold after while. Bought 2 of them. First was a while ago and was great. Held together well didn't damage to easy. Second came and several thing wrong with it. 1. "Blade" was set off center. 2. One of the female threading wasn't completed so it will only allow me to screw in half way. Bought the second mostly to make a longer spear. And it does so I am happy with that. 3 stars mostly because of the condition of the second spear upon arrival. This spear is brutal. It collapses and can be taken with you virtually anywhere. It's crazy sharp, and is a real weapon. I had to take a star off though because the tip bent slightly when I threw it into the ground. It was easy to file the bent part off and it's a deadly weapon once again. Thanks BudK. Whatever 2CR13 steel is, it's super soft. The blade was warped out of the package and when I went to tap it on the carpet to see if it would straighten out, the tip bent back the other way an inch. The tube is solid and locks up. Decent wall hanger but they would be better off just using an old SKS bayonet or something actually functional. Don't use this for anything or you'll destroy it. let's just say that my days of looking for a spear that has blood grooves and also violates the geneva conventions are over.